Harpaz noted that the IMC Group has had a positive start to 2015, with the first quarter finishing higher than last year. 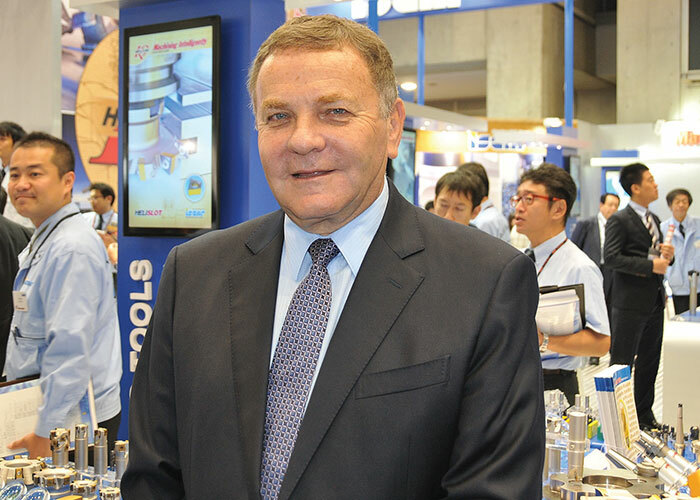 IMC is the second largest cutting tools company in the world, and it continues to grow. The company’s most recent purchase was Tool-Flo, a grooving and threading specialty business for the oil & gas sector that is now a satellite company of Ingersoll. Harpaz expects growth to continue through the rest of 2015. The challenge North America faces is being able to compete with China and India. As Harpaz notes, both countries are booming. For the past seven years, China has been the number one market for machine tools. In the year 2000, China accounted for only 11 percent of machine tool consumption. In 2014, the country accounted for 48 percent of global sales. That was down from 59 percent market share in 2011. In 2008, China built 1 million cars. In 2014, they built 26 million. In the process, the country has become the largest automotive parts manufacturer. The corollary of that for the North American tool suppliers and users in the audience was simple – to compete, it’s critical to invest in the best, most versatile machines and associated tools. The challenge, as Harpaz set it out, is that machine on-time has to grow because, again, there is no time for downtime. As he explained, even in a shop running 24 hours, 35 percent of the time will still be non-operating time. And of the 65 percent machine-on time, 25 percent of that is taken up by tool changes and setup. Harpaz shared with the audience numerous products aimed to help reduce that setup and downtime. One of those was the Gold Twist Qwik Change Indexable Tipped Drill. The name says it all – the exchangeable tips are available in geometries for steel & general purpose, stainless steel & exotics, and cast iron; and in body diameters from 6 – 25mm. Another innovation was the company’s Gold Rhino line of inserts. These are smaller ISO inserts that are still the same thickness as standard inserts, which drops the price point by between 20 and 30 percent. This is geared to shops that aren’t cutting anything half-inch or more.